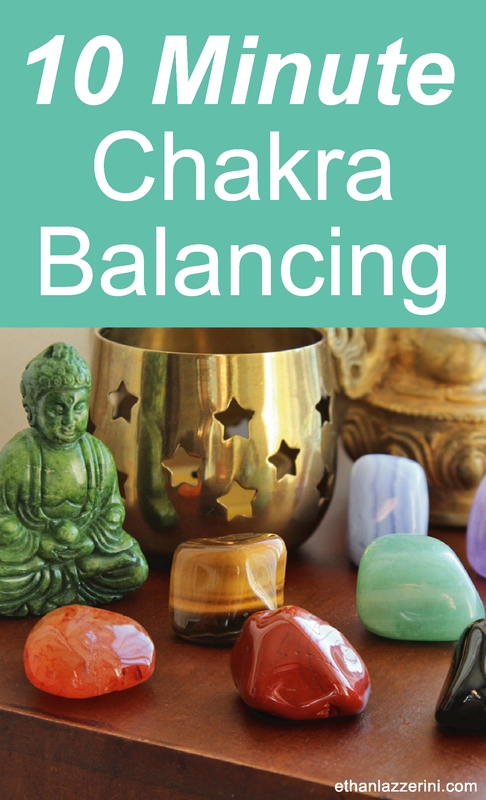 Chakra Balancing in just 10 minutes? Yes you read that right. 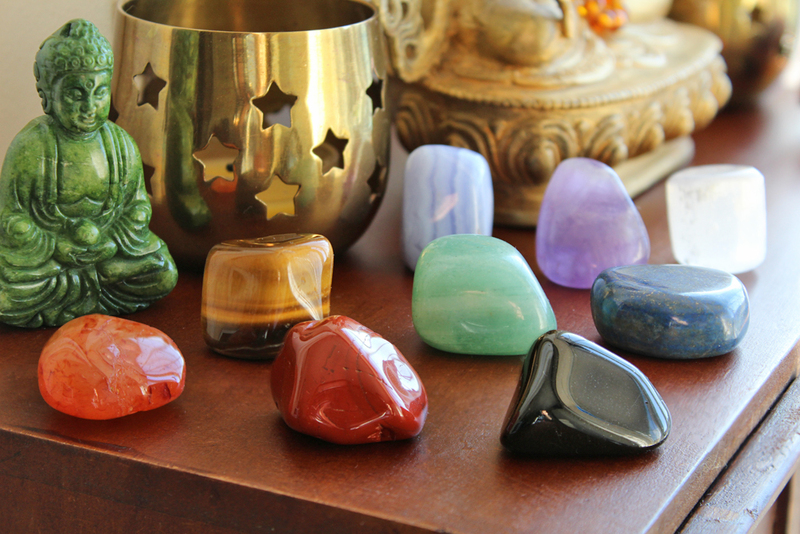 Use these chakra stones and crystals to cleanse and balance your chakras in no time. It’s as easy as laying on your back! 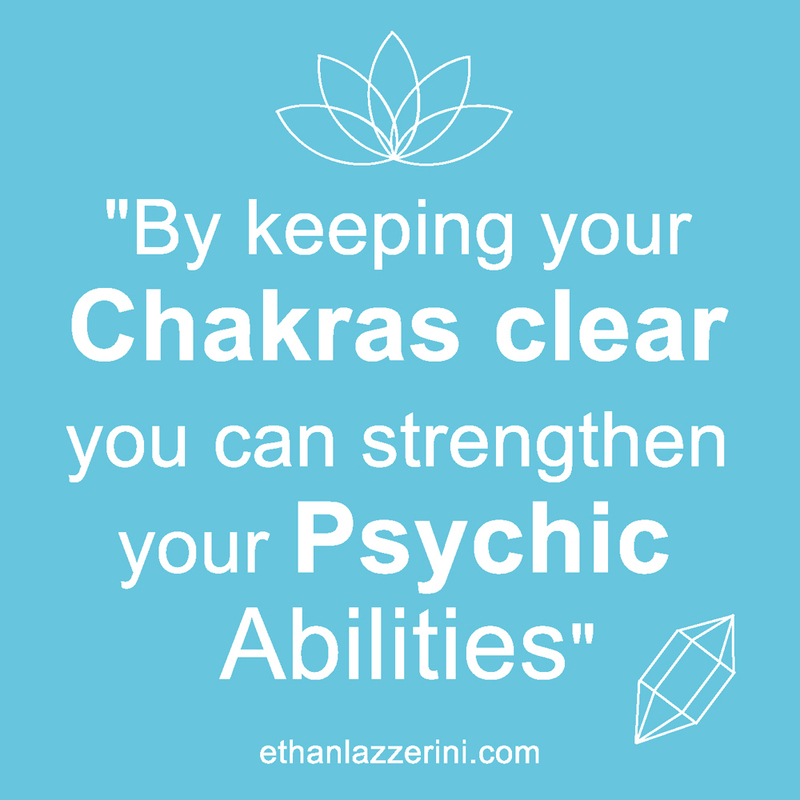 Many years ago I was introduced to the idea of Chakra Clearing also known as Chakra Balancing. As I made this a part of my weekly spiritual practice I noticed a huge difference in my psychic or intuitive abilities. When you clear stagnant energies from the Chakra System you allow energy to flow more freely. This can benefit you on so many levels, mind, body, spirit and emotions. There are many ways to cleanse and balance your chakras but one of the methods that needs little effort is using crystals. Placing crystals on the chakras is not only easy but highly effective. The Crystals for the Soul Star and Earth Star Chakras are optional but can take your Chakra Balancing to the next level. For the Soul Star Chakra. About six inches above the top of the head. For the Crown Chakra. At the top of your head. For the Throat Chakra. Just below the Adams apple. For the Heart Chakra. At the centre of the chest. For the Solar Plexus Chakra. Between the rib cage and the navel. For the Sacral Chakra. Below the navel, a few inches about the Root Chakra. For the Root Chakra. At the base of the spine. For the Earth Star Chakra. About six inches below the feet. Once you have your Chakra Crystal Set all you need is a quite place where you will not be disturbed. As always make sure the crystals you use are cleansed before use (See How To Cleanse Your Crystals). Here is a step-by-step guide to follow and there is also a helpful infographic below. 1. Lay down somewhere comfortable with your Chakra Crystal Set within reach. 2. Place each crystal in position, starting from the Earth Star Chakra working up. 3. Close your eyes and takes some deep breaths. 4. Visualise yourself as a Tree with roots growing down deep into the Earth. 5. See the roots wrapping themselves around a giant Iron crystal at the centre of the Earth. 7. After 10 minutes open your eyes. Remember to remove the crystals before getting up! Hopefully you will give this a try and give those Chakras a good cleaning! 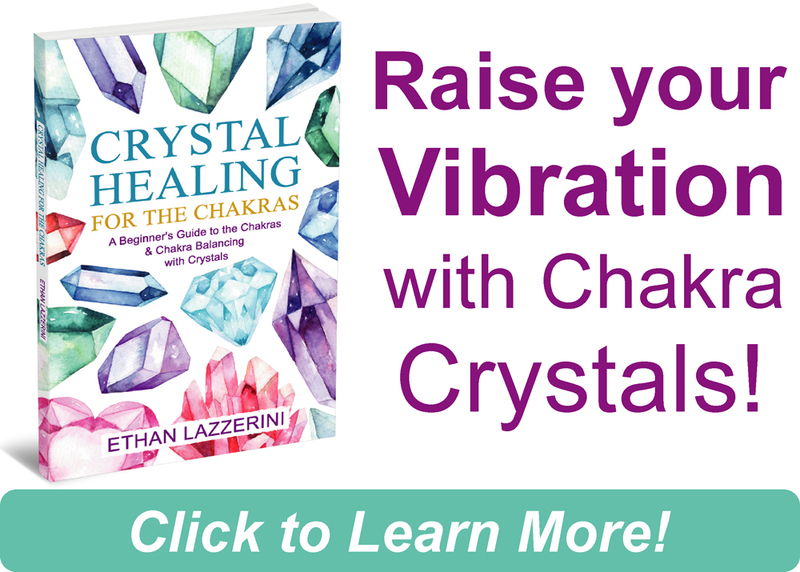 If you want to learn more methods, tips and tricks with crystals for Chakra Healing then check out my book Crystal Healing For The Chakras. 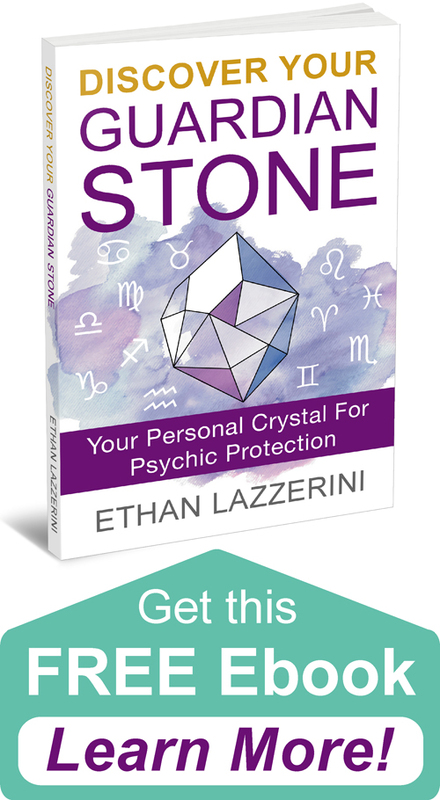 If you’re interested in learning more about Crystal Healing do check out my free Resources section by clicking Here. Have you used crystals to cleanse and balance your Chakras before? I would love to hear from you in the comments below (Please keep any questions you have on topic if you want a response). 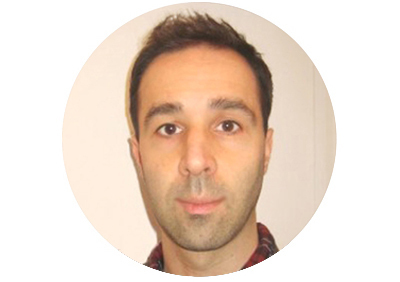 I suffer from cronic pain syndrome which effects me from mid back right down to my toes, I receive a reiki treatment fortnightly which helps with my well being and keeps me positive. Inbetween my reiki i sometimes dip, i have low energy and find it difficult to do much, when this happens i run a bath surround myself with the elements of air, fire, earth, water and spirit and recharge my body with crystals on my chakras, just lying in the bath allowing the crystals to charge my chakras with their energy, just 10-15 mins does wonders. I always feel energized and positive, works every time. After removing my crystals I always cleanse and charge my crystals afterwards. I love to learn about crystals and their properties. Thanks for sharing! I can’t wait to give this a try! Where can we find those type crystals ….I ordered some but they don’t look anything like this? I created this chakra set by buying the crystals listed above. All these crystals should be easily available from any good crystal shop or website. You can use other stones or a ready made kit but you would have to buy a Selenite and Black Tourmaline tumble stone to make a 10 chakra set.